About ten days after the 2017 US presidential inauguration, sightings of a presidential flag flown on a convoy of khaki-colored military vehicles were posted around the internet. None of the leaders of the US military branches claimed the vehicles as their own at first. It was thought that these were old vehicles collected by military enthusiasts, but rumors that the convoy belonged to Navy Seals flying the unauthorized flag surfaced (Source: USA Today, February 2, 2017: "Navy: Special forces flew Trump flag in convoy."). Even though military vehicles flew a flag with the single word TRUMP in white letters on a blue background instead of the US Flag on 01/30/17, the nation's flag is preserved in the Smithsonian Institution and along a 600-mile swath of commemorative trails near our nation's capital. One of the first Executive Orders President Trump signed was a freeze on federal jobs.This means that when a National Parks Service employee retires or otherwise leaves employment, that the park will be short to staffed. Hopefully, this will not lead to park closures, particularly that of the Star Spangled Banner National Trail. Just as it is unlikely that additional presidential faces will be added to the mountain at Mount Rushmore National Memorial, it is unlikely that America's flag will be supplanted by the flag of any individual. The United States is more than one president. 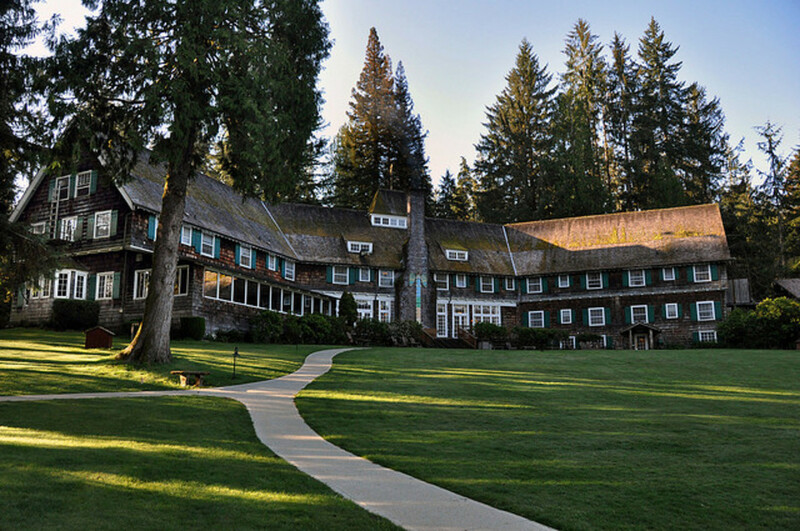 It is an amalgam people living here from the time of Native North American Nation settlements to European exploration to the melting pot we remain today in spite of movements to ban immigration. 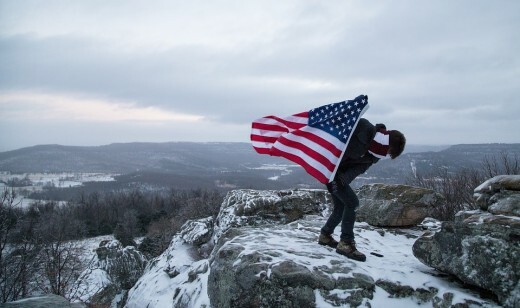 The national trail dedicated to the flag of the United States salutes Old Glory, the icon of American survival. 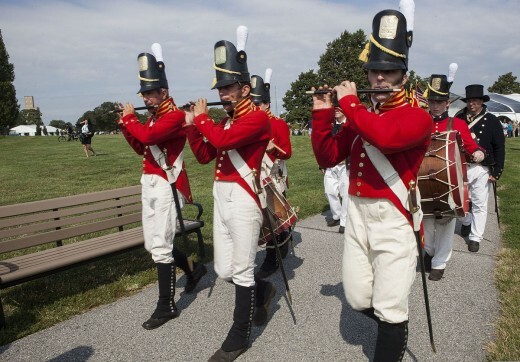 The trail crosses land and water across 560 miles in the Chesapeake Bay Region of Maryland, tracing the movements of major British attacks on America in the War of 1812 - 1814. 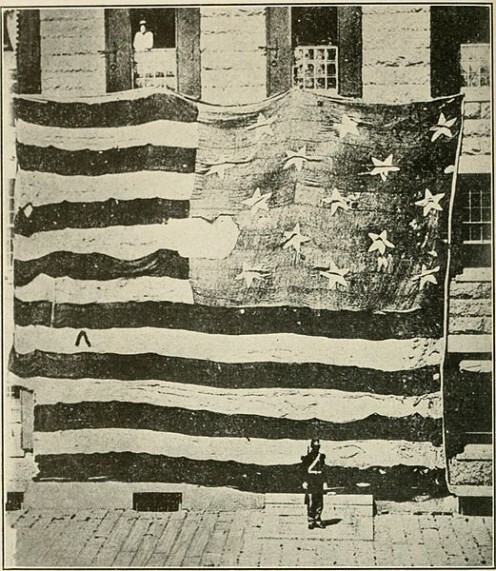 During September 13 - 14, 1814 at Fort McHenry in Baltimore, our national anthem was written to honor the flag. Even though the war ended in 1814, American military and civilian prisoners were held in the English prison at Dartmoor Depot through 1815. They were freed and the American Flag is an icon of those prisoners as well as the free in the United States. 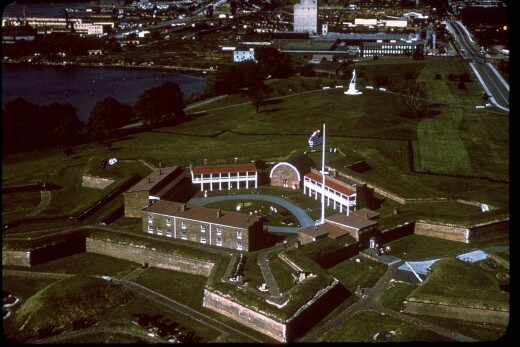 During the War of 1812 - 1814, this star-shaped fort in Baltimore became the birthplace of the US national anthem. The American National Anthem was not written when the New Nation first formed. It was not produced until 36 years later, when the British, determined to regain the Colonies, struck again and failed. The song did not become the US Anthem until 1931, although it was chosen for that duty in 1911. 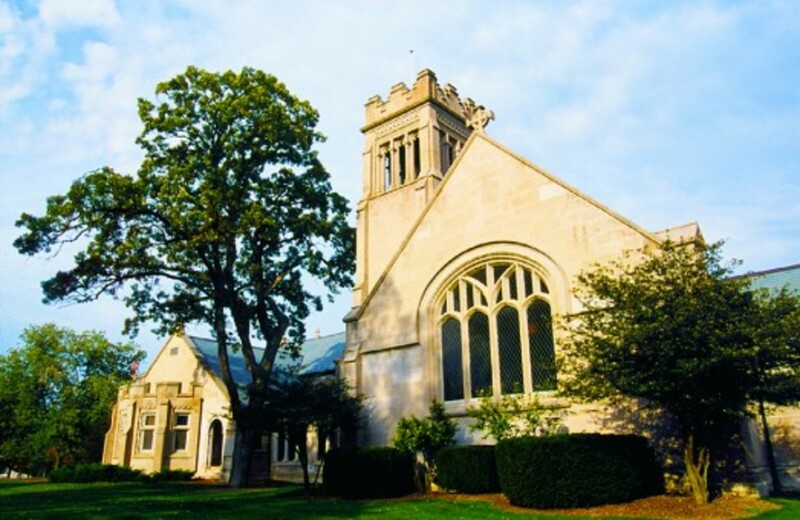 A US Federal Grant, first envisioned in 2003 and initiated in 2008 for only $100,000, allowed The Star Spangled Banner to join the ranks of The Underground Railroad and The Trail of Tears as important historic entities preserved by the National Park Service. 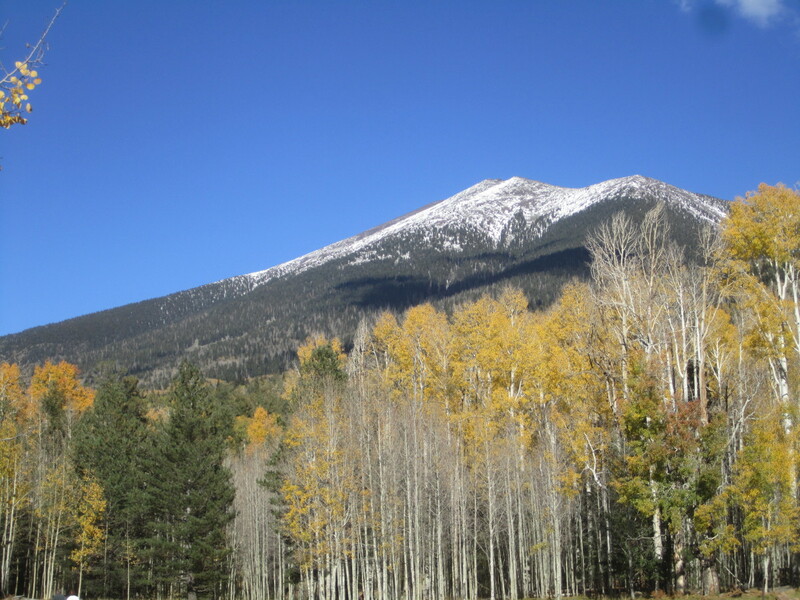 The grant was for only $100,00 and under 300 miles of trail, but the project expanded. 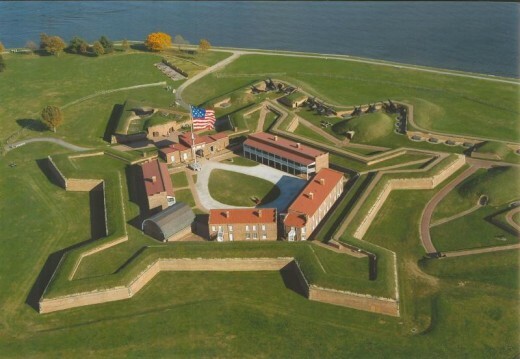 Attorney Francis Scott Key spent an entire night at Fort McHenry, trying to negotiate the release of an American prisoner from the British forces. Unsuccessful, he spent the night watching the battle, the smoking guns, and the red glare from the ensuing rocket attacks. He was inspired to write a poem that became song lyrics. Francis Scott Key titled his poem Defense of Ft. McHenry and it became the lyrics to The Star Spangled Banner. He had riding on a British ship that was flying a truce flag at the time of England's attack on the American fort and he was briefly an American POW. The sight of Old Glory still flying in the early morning was magnificent. 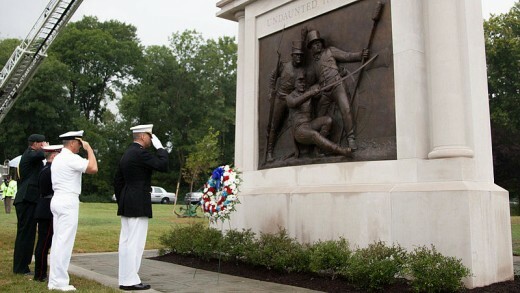 The flag's nation trail connects officially registered historic sites in Maryland, Virginia, and the District of Columbia. The history of the United States is displayed all along the trail. 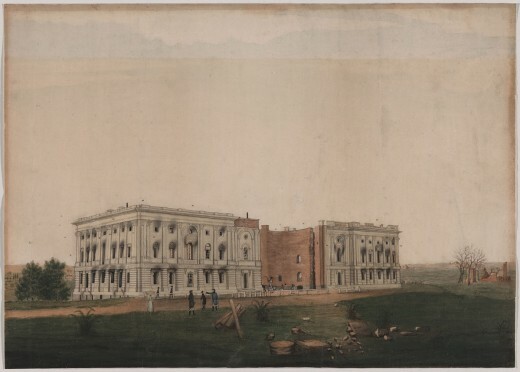 Below we see via paintings in the Cox Corridors on Capitol Hill that on August 24, 1814 before the Battle of Baltimore. 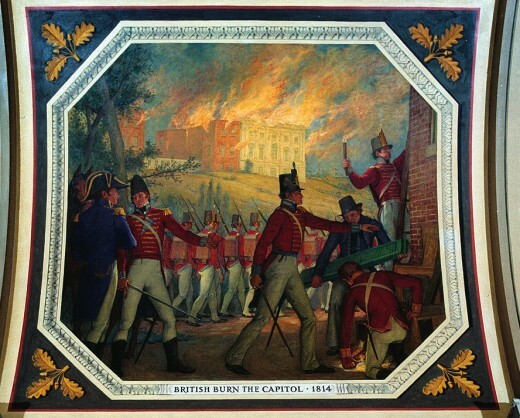 British troops burned the White House, the Capitol, and almost all other public buildings in Washington. The Capitol building is shown ablaze in the background. It was fully gutted and only an unexpected rainstorm stopped its complete destruction. The Undaunted in Battle Memorial to the Battle of Bladensburg. Depicts Commodore Joshua Barney, commander of Chesapeake Flotilla, Charles Ball, a freed slave in the flotilla, and an unnamed Marine. During the burning of Washington, First Lady Dolley Madison saved the original US Constitution, the Declaration of Independence, and a portrait of George Washington. 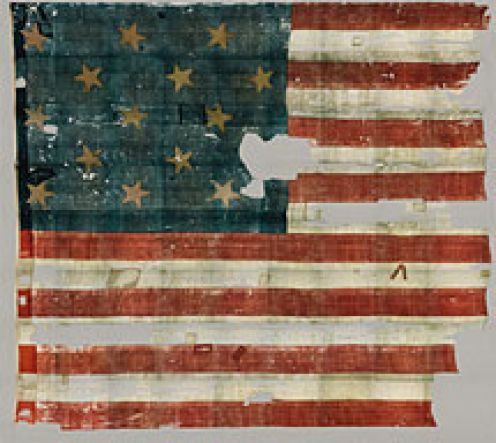 At Fort McHenry, Old Glory was saved as well. 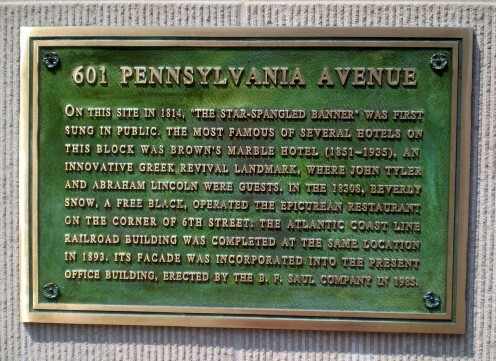 Thus, many of America's icons were preserved. 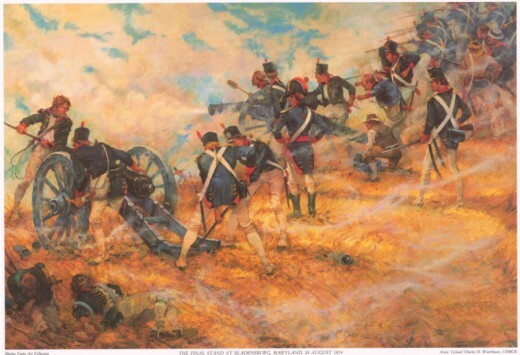 Just one day before this battle, on August 23, 2014 the British began the Battle of Bladensburg nearby. This was the only battle in American history in which the President (James Madison) and the Secretaries of War, the Navy, and State were all present. 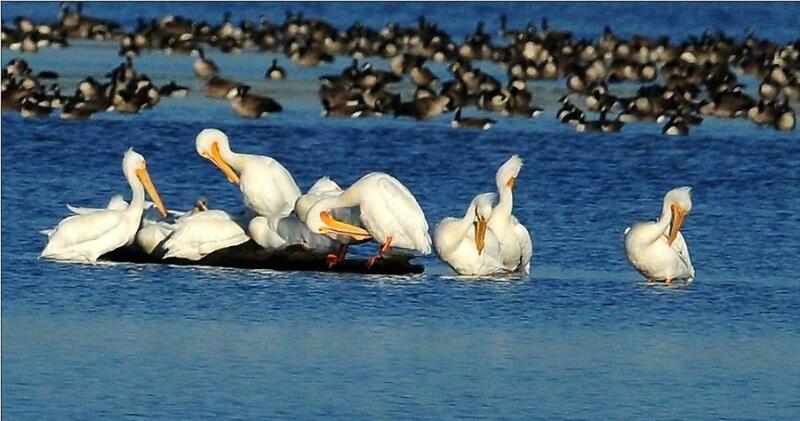 A chain of command disaster was averted in their all surviving. 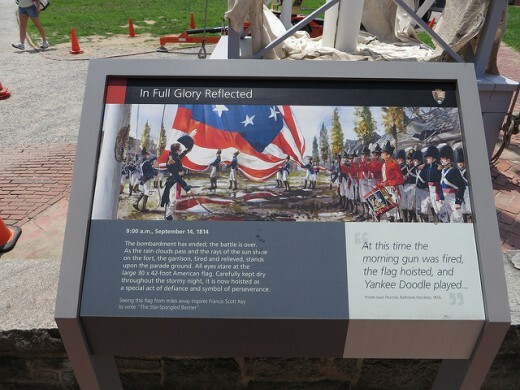 The trail's commemoration of the flag follows routes through the towns of Calvert, Charles, St. Mary's, and Prince George's counties in Maryland; and then Alexandria VA, Washington DC, and Baltimore MD. 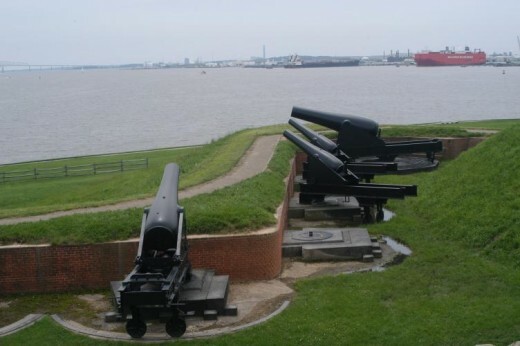 Battle of Baltimore at Ft. McHenry. Which Flag do you respect the most? 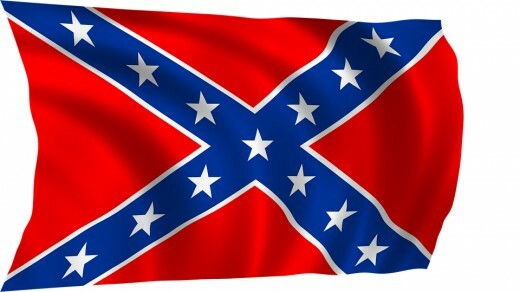 @teaches12345 - I like to re-read flag history myself. Our statehouse in Columbus has the flag that my great-grandfather's Union regiment flew in the Civil War. It is awe inspiring to see it and to know that the war was only four generations ago in my family. Thank you for sharing the history of our flag. I always feel a sense of pride when I see one on display. @MsDora - I'm glad you agree. I think we must protest our national parks and the national flag. Meanwhile, Congress is trying to un-park Bears Ears National Monument so that they can OK oil drilling, or sell the land, etc. The fighting over land did not end with America's "Indian Wars" of the 1800s, did it? 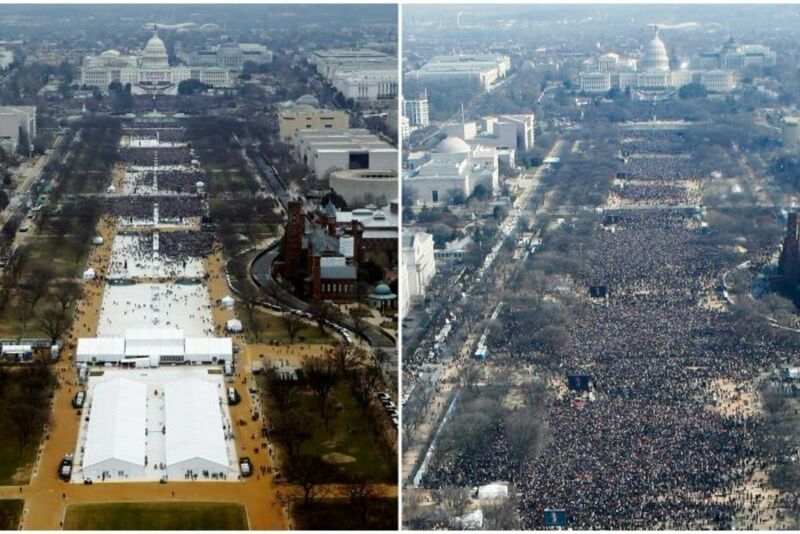 @FlourishAnyway - We certainly have a salesman and entertainer in the Oval Office. If he has a flag at all, it should be as you say, flown lower than the American Flag, if at all. I remember the cutthroat sales mentality from the film and play "Glengary, Glen Ross" and it still makes me shudder. I have also been lied to by many salesmen, from car salesmen to refrigerator salesmen, to TV and clothing sales ladies in department stores. It all cost me a lot of money when I was younger. I also had a colleague that was a former sales person and lying was so deeply ingrained from her former job, that nothing she said could be trusted. No Sale! in the White House, please. Informative, historical and inspirational. Inspirational because it gives Old Glory the honor it deserves. Hopefully, there are enough sane people who remembers what it stands for. Thank you, Patty. There are time honored reasons that our nation's flag flies highest on the flagpole, for example, and other flags must fly subordinate to it. Men and women have laid down their lives in the defense of all that the bars and stripes represents. It is what unites us in troubled times. That other flag represents the exact opposite. Shame on any person who replaces the American flag with that of an orange, thin-skinned demagogue, a fraud huckster hater. I'm glad you did not include a photo. It only encourages that type of thing. @randslam - He's certainly too much - an aggressive man who aims to win at any and all costs and means, in my view so far. It is too much...too many lies told to the American people--too many dastardly edicts thrown down from executive orders...he's insane. @Genna East - Thanks for the kind comment about the Hub. I'm trying to think ahead to the NEXT president, trying to find some peace and quiet from all the chaos in the news and word on the street - not to mention all the Executive Orders. It's too much. @randslam - Hi there! I think the flag is one of his campaign banners; but still, it's too much/too wrong to be putting on our military vehicles. He seems a kind of businessman gone mad with power and I don't like it either. 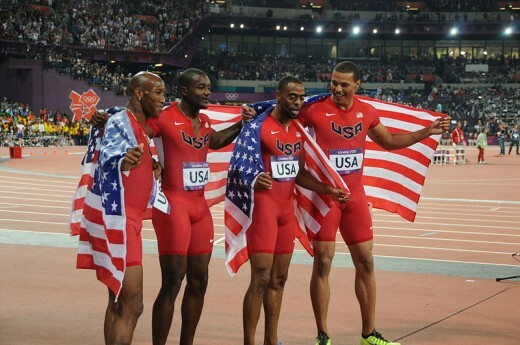 Thank you for this reminder of all 'our' flag stands for, Patty. Your song choices, especially Johnny Cash, touched my soul and gave me much needed inspiration. 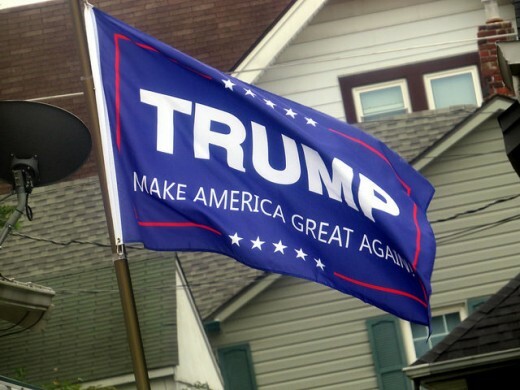 The very idea of a "Trump" flag is beyond belief. I came to read this at Mike's suggestion, and I'm glad that I did. Not only was this informative, it was a pleasure to read the history surrounding our flag. The idea of a Trump flag makes me uneasy. "The United States is more than one president. It is an amalgam people living here from the time of Native North American Nation settlements to European exploration to the melting pot we remain today in spite of movements to ban immigration." Patty, this is the perfect hub. As Mike stated, "freedom loving." And watching Hendrix at Woodstock was amazing. Thank you! K, now we see the makings of a demagogue...if he's creating his own flag? What can we expect next? I feared the man was going to be an idiot--and now we have the proof! What kind of treasonous act will he attempt next...Benedict Donald is now in charge...what a scam! The last I heard, the Navy was about to investigate the Seals who displayed that flag on their vehicle. Bad show by them. Hello Patty - Thank you for such a timely and freedom loving piece of writing. I am glad you did not include a picture of a trump flag. If the vehicles waving that flag were actually military then we are in worse times than even I imagine.